Here is the first beer from the special delivery I mentioned the other week. 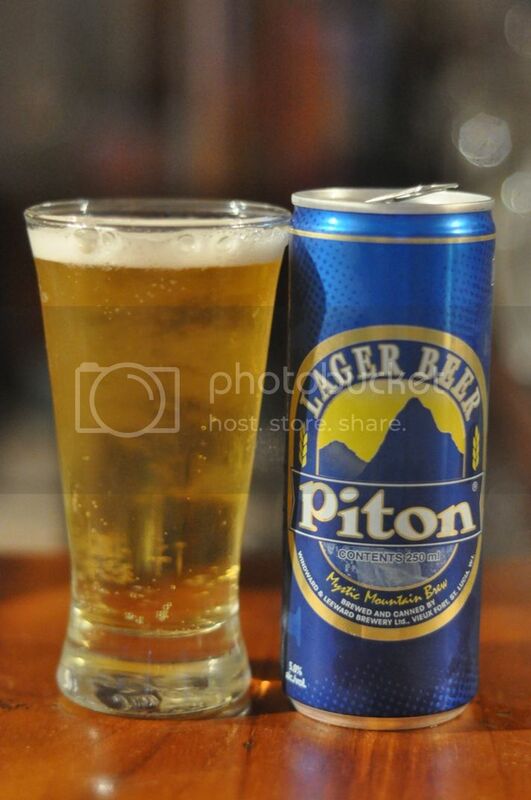 Piton Lager is the national beer of the tiny Caribbean nation of Saint Lucia. 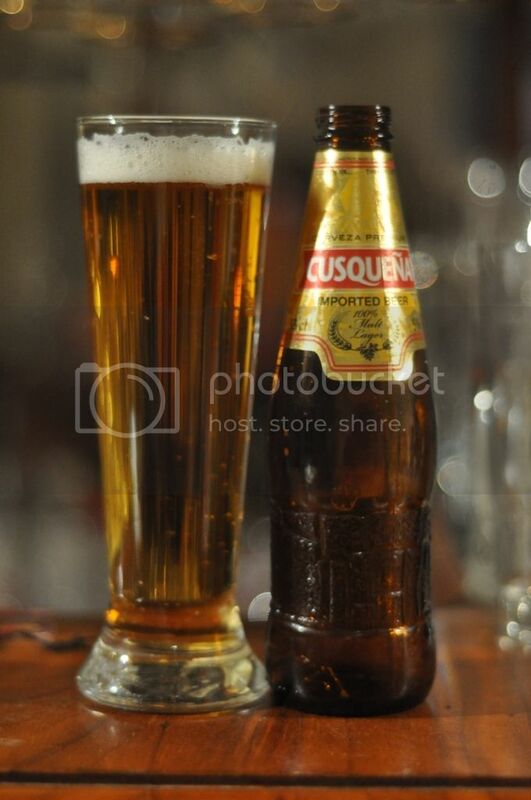 The beer was first brewed on the island in 1992 and is named after the two main mountains in the country. It would seem that Piton Lager is not well known around the world as Saint Lucia is home to only around 170,000 people. However many people, particularly from the United States, travel there for holidays and the beer has gained a cult following. Despite it's popularity the beer is still only distributed in St. Lucia and some other Caribbean islands, however I have got my hands on some and it's time to try it! For a tropical lager the pour is actually quite good. I've had to pull the tiny pilsner glass out for this beer as it's the only glass small enough for the 250ml Piton can, and this has made the head look a bit smaller than it actually is. The beer itself is a nice golden colour with plenty of bubbles rising to the head. It does dissipate rather quickly and there is close enough to no lacing. Still I've seen much worse looking lagers. On to the nose and it is again not too bad for a tropical lager. It's quite weak, which I always think is a virtue in a lager, however what aromas that are present are mostly of sweet grain. There's also a tiny hint of citrus coming from the hops but there really isn't alot going on to excite the nose. It's not appealing but nor is it offensive, which is the main thing. The taste is a little bland and the mouthfeel is a tad watery. Despite saying that Piton Lager is actually quite drinkable. What little flavour that are there are nice enough, the hops are grassy and provide just enough bitterness to offset some of the sweet malts. This beer I can definitely envisage being a good session beer as it is very easy to drink and the flavour is completely inoffensive if a tad insipid. I was left feeling a tad indifferent towards Piton Lager after finishing it. Basically it was a simple lager that did little to justify the good things I'd heard about it and to distinguish itself from the standard macro lager. Today was hot and I'd be in the roof space most of the afternoon so it was refreshing enough but there are better beers out there. I'm sure if you were on a beach in St. Lucia this beer would be pretty good, but on the other side of the world there are better options. hey, with help of Amber buddy You can have get more benefits if you pick up raw beads or glossy ones.